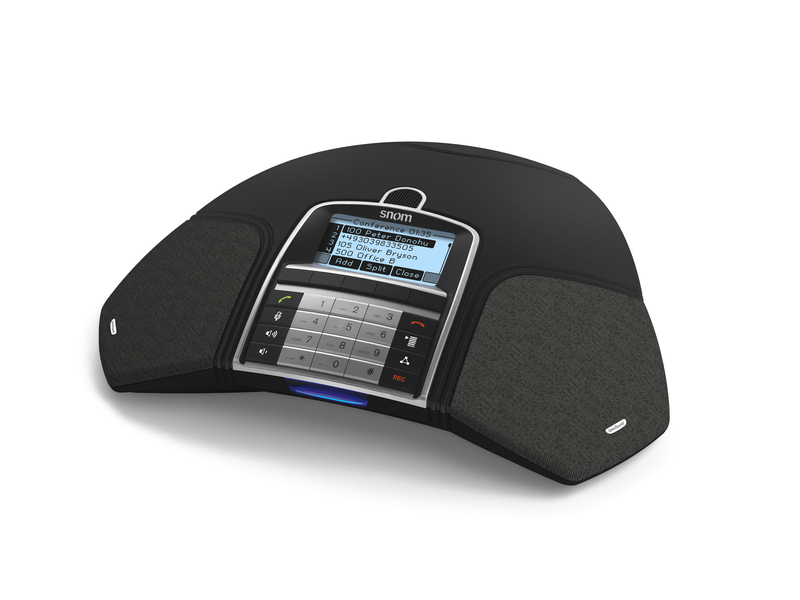 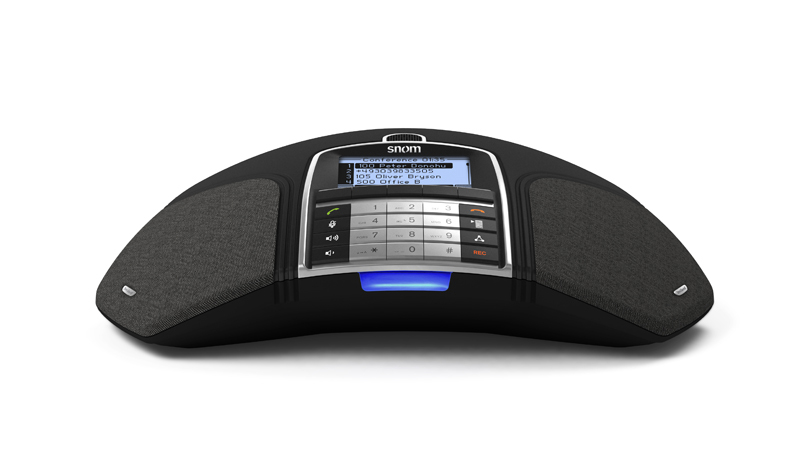 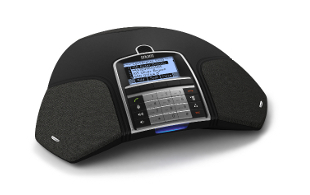 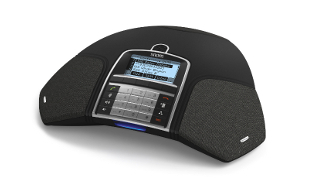 As Snom's first conferencing phone, the Meeting Point compliments the existing range with an executive business SIP conferencing model. The Snom Meeting Point is perfect for use in mid to large conference rooms. 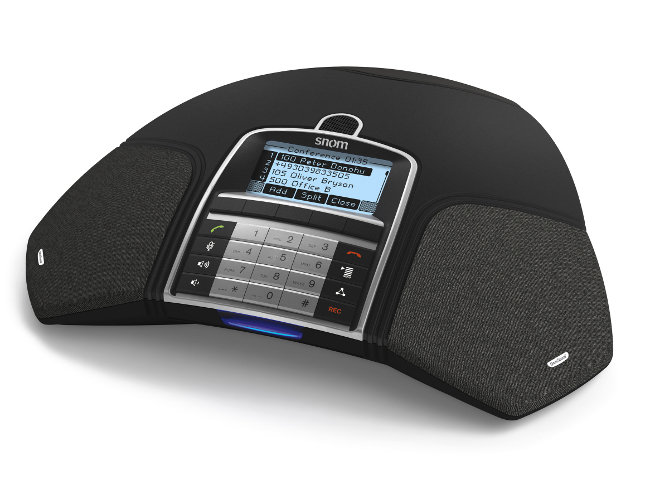 Ideal for groups of up to 10 people with excellent sound quality which is not affected by background noise. 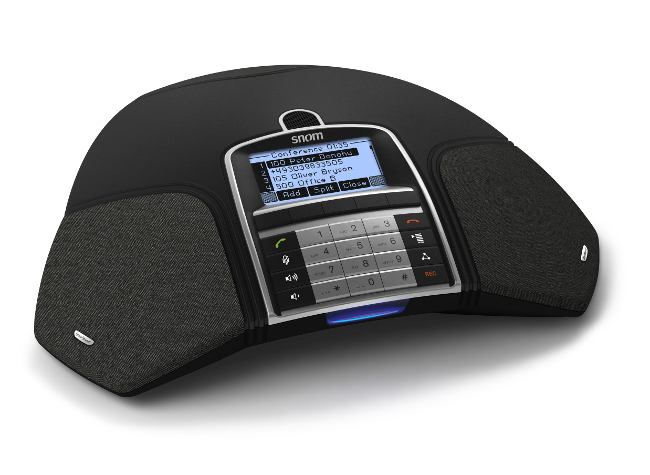 The Snom MeetingPoint has a standard SIP telephone setup, supporting standard Snom provisioning. 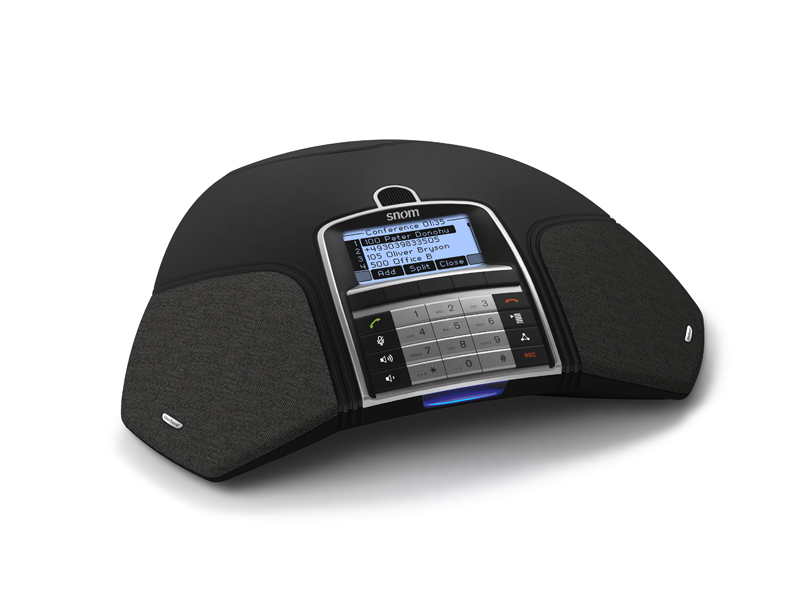 Importantly, the Snom MeetingPoint SIP conferencing phone, is unique in that it is the only current SIP conference phone which works in unison with Microsoft Office Communication Server (OCS) 2007. 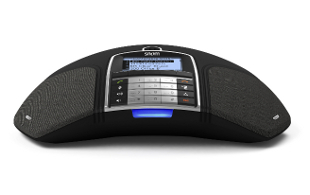 The Snom Meeting Point works in parallel with Snom OCS and any SIP base IP PBX.